Dion Weisler - President and CEO, HP Inc. Drawing on its experience as a market leader in the personal systems and printing markets, HP Inc aims to carry on where it left off with promises of new technologies on the horizon. As pointed out by then HP CEO Meg Whitman - now Chairman of the HP Inc. Board, the new company’s strong profitability and free cash flow will enable investments in growth markets such as 3-D printing and new computing experiences. As the new President and CEO of HP Inc, Dion Weisler is tasked with delivering new innovations with a strong personal systems and printing focus, while building relationships with key customers and channel partners. “This is a defining moment in our industry as customers are looking for innovation to enable workforces that are more mobile, connected and productive while at the same time allowing a seamless experience across work and play,” Weisler added. For Weisler, HP Inc. is “extremely well-positioned” to leverage its portfolio and innovation pipeline across areas such as multi-function printing, Ink in the office, notebooks, mobile workstations, tablets and phablets, as well as 3-D printing and new computing experiences. Whitman will chair the board of directors for HP Inc having served as president and chief executive officer of HP since September 2011, in addition to serving as director of HP since January 2011 and Chairman of the board of HP since July 2014. “The post-separation Boards for both Hewlett Packard Enterprise and HP Inc. comprise leaders with some of the most diverse backgrounds and professional experiences I’ve seen in my career,” Whitman added. Shumeet Banerji, Founder, Condorcet, LP; former Chief Executive Officer, Booz & Company, Inc.
Carl Bass, President, Chief Executive Officer and Director, Autodesk, Inc.
Charles V. “Chip” Bergh, President and Chief Executive Officer, Levi Strauss & Co.
Stacy Brown-Philpot, Chief Operating Officer, TaskRabbit, Inc.
At present, Banerji, Bennett, Gupta, and Whitman currently serve on the board of directors of HP. 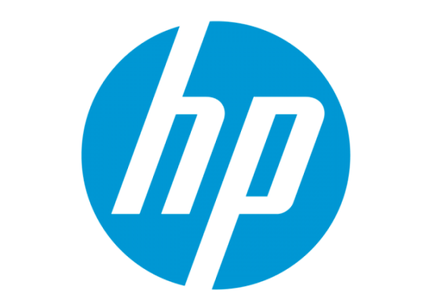 “I’m very excited to work with the new Board of HP Inc.,” Weisler added. “HP Inc. has tremendous opportunities and having a skilled board with a global perspective is critical to me and my management team, especially as we embark into new markets like 3-D printing and immersive computing.